Light up a dull corner, or just display to look pretty. 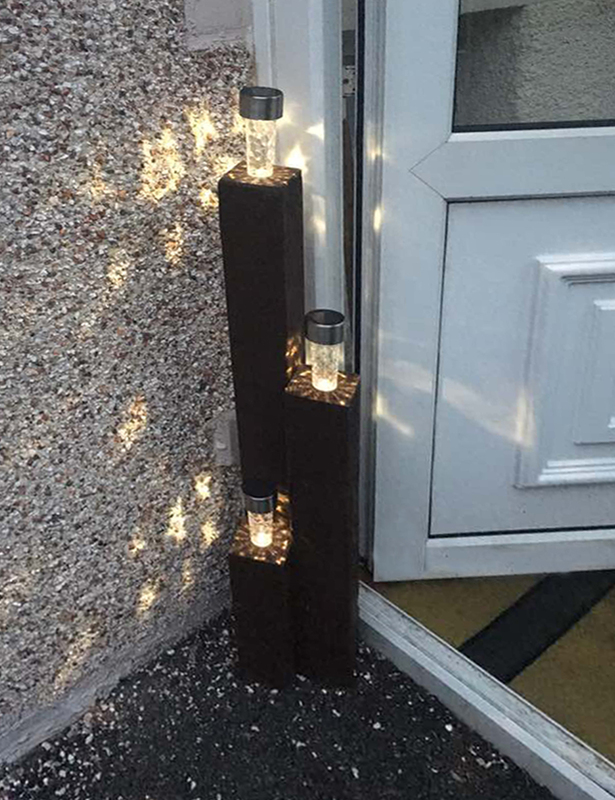 These light units are made from fully recycled timber and have simple LED lights on top. As you can see, they look great in the evening. The timber has been treated against rot and has also been repainted. They are supplied in rustic brown. They can also be supplied with colour changing LEDs. You chose, to make yours individual. And how about these fantastic planters? They are designed to take a 7” pot and can be made in a variety of heights to suit any garden and any space. Made from the best Scandinavian red pine they can be left natural, or we can paint them rustic brown, or garden green. The choice is yours. 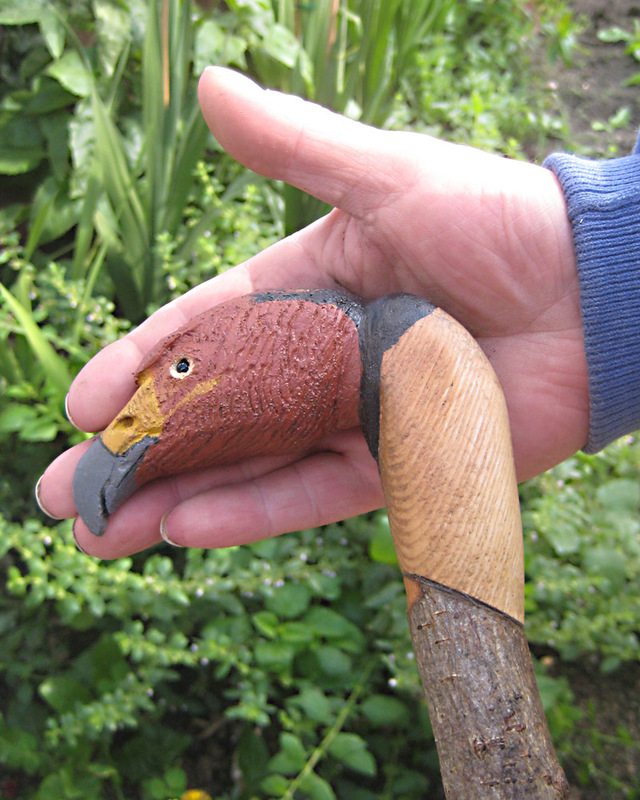 Alan has been working away these last few weeks to create this wonderful Eagle Head walking stick. Not only does it look good, it’s also a very comfortable and practical walking stick. Well done to Alan, as this is his first foray into wood carving. 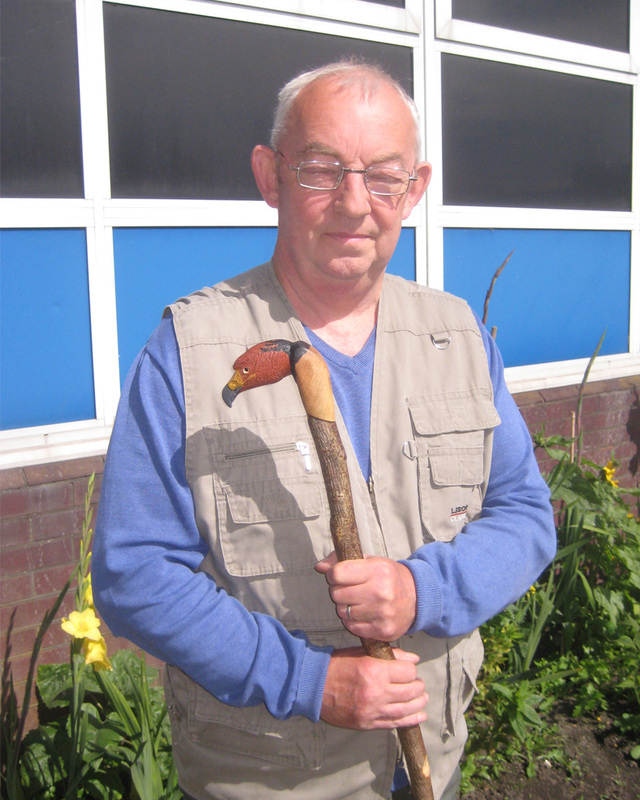 If you would like a walking stick to be made especially for you or for someone else, why not give us a call – Chris 07930 207537, or pop in to see us at The Phoenix Shed. We are at The 3Ways Centre, HX3 5SX, Mondays and Wednesdays 9.30am until 4.30pm. Are you a gentleman over 55, or do you know of anyone of similar age, who would benefit from joining us at The Phoenix Shed Halifax? There’s all sorts of amazing things happening at The Shed, so come along and join us.